Kitchen! Kitchen! : shrimp & vegetable yellow rice....at kitchen! kitchen! shrimp & vegetable yellow rice....at kitchen! kitchen! A delicious dish to serve when you have a large crowd! 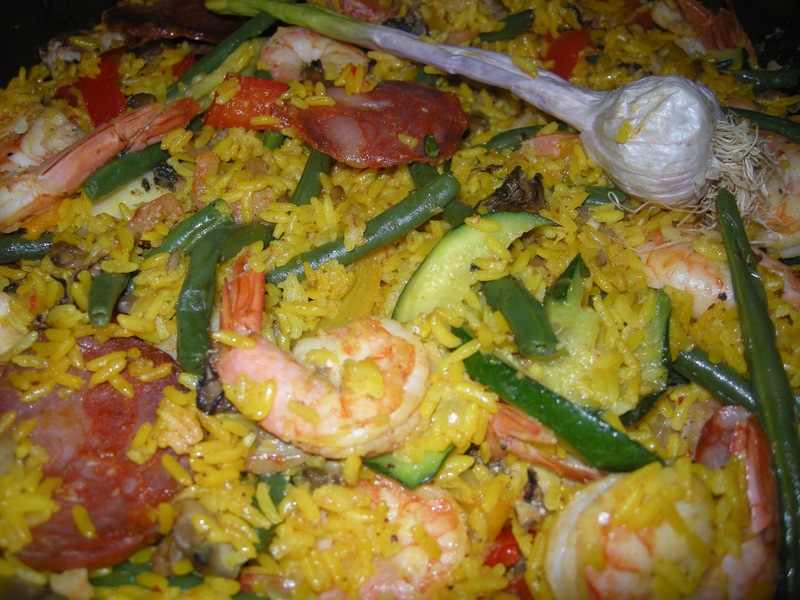 ﻿This dish is so simple to make - similar to paella but easier and less fussy but packed with flavour. I made this dish when we had a gathering of all my nieces to bid farewell to my visiting family. What a lovely and delicious send off. We have this tradition of each member bringing their favorite dish -a "potluck" farewell gathering of sort. So what a better way to feed a large crowd with a dish packed with flavour. Sautee the shrimps in olive oil in a large pan (preferably a paella pan) with the chopped onions and garlic just until pink (season with salt and pepper). Remove shrimps from pan and set aside. In the same pan throw in the red peppers and stir for a minute or so; next add the zucchinis and the string beans; then the sliced sausage stirring for another minute. 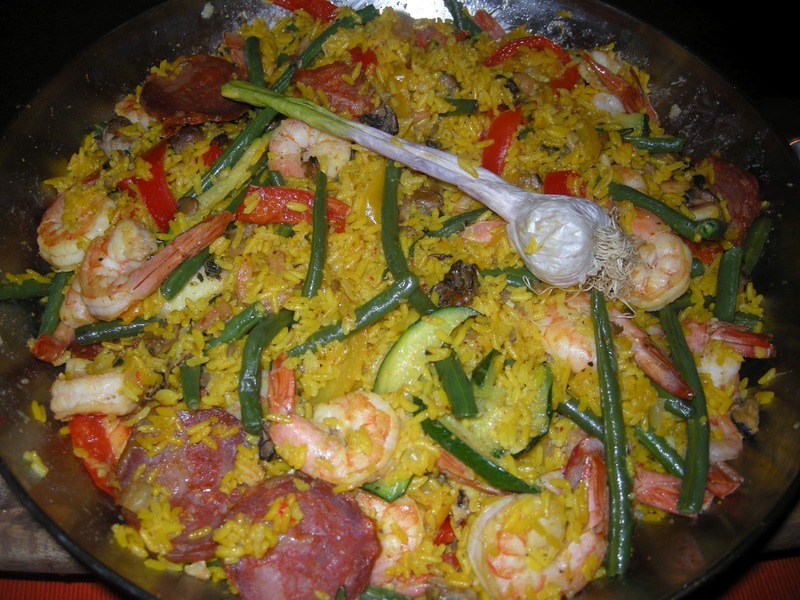 Add the cooked yellow rice and stir until thoroughly combined then lastly add the shrimps and incorporate well with the rest of the ingredients. Add a little more olive oil if necessary and correct the seasoning. Sprinkle with roughly chopped parsley and serve with wedges of lemon.